I watch a LOT of trading videos and webinars. Whenever possible, rather than watching them live or streaming them, I prefer to download the video which then allows more active control over the playback speed. I personally find that playback at 1.4 times the normal speed still allows the presenter to be clearly understood, while ensuring I minimise the wasted time through long sections of basic content and useless conversation. If a section is of particular interest, I can always replay it or reduce the speed to normal (1x). 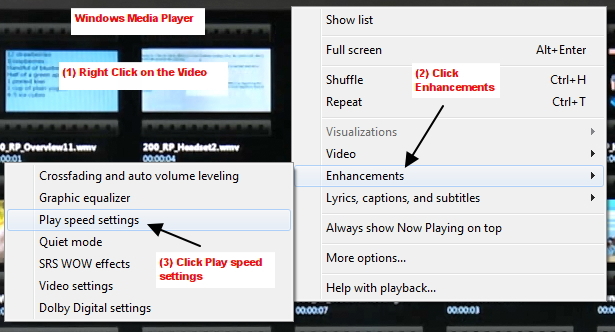 Not all media players will have this feature. You’ll have to check your own. 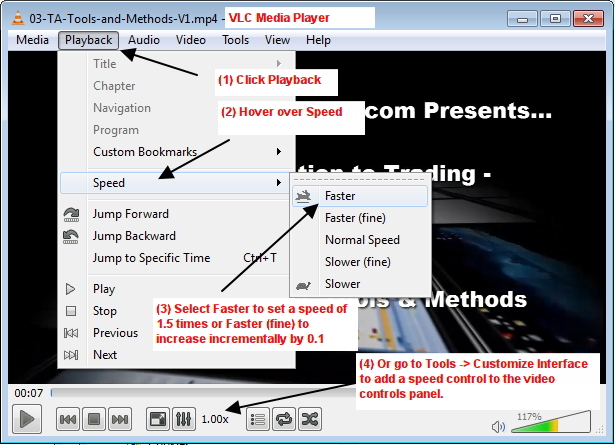 It’s usually accessible through either the menu functions (top left), right click menu functions (on-screen) or from a toolbar option somewhere within the video controls.